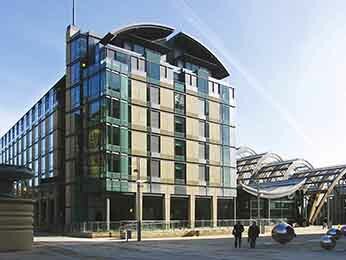 Located in South Yorkshire, leafy Sheffield (it has more trees per inhabitant than any other city in Europe) is one of England’s most rapidly changing cities. Once a major centre of steel production, Sheffield’s economy now stands on a much broader base, becoming an important destination for corporate travel and professional tourism. Our two hotels in Sheffield are perfectly placed whatever your plans are when in the steel city. Base yourself in the city centre at our St Paul’s Hotel and Spa, with a roomy bedroom overlooking the Town Hall and Peace Gardens. If you have a few hours spare, soak in the Millennium Gallery’s permanent collection of Ruskin works and its rotating schedule of exhibitions. Sheffield’s premier destination for art, craft and design, the gallery is just around the corner from the hotel so you won’t have far to go. Or head a bit further afield and discover Sheffield’s rich industrial history at the Kelham Island Museum, where interactive galleries tell the story of the city’s steelmaking past. 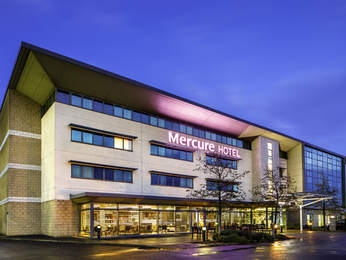 Alternatively, if you need to be close to Sheffield but also the city’s transport links, our Parkway Mercure is in a great location just 15 minutes from the city centre and minutes from junction 33 of the M1. 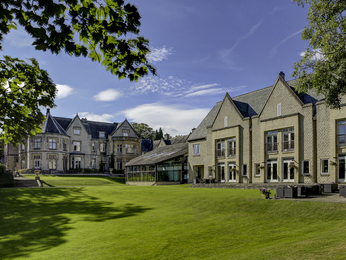 Sheffield is also a great place to be based if you want to explore the breathtaking scenery of the Peak District. Hire a bike and cycle along one of the traffic free trails, or take a stroll along one of the countless paths in the scenic countryside.